Looking to discover more about your community or looking for an opportunity to give back? You've made it to our website and are thrilled that you thought of us. Here are a few things that we are working on right now. Presenting for "Celebrate a Soldier"
Have an idea? Let us know what you can do to help us preserve Canton's history. Email us or send us a message on Facebook. 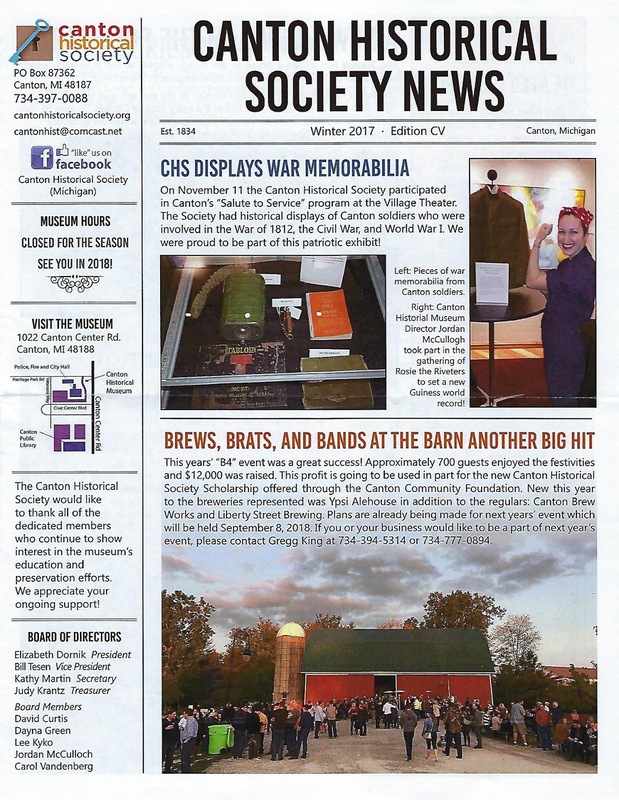 Membership in the Historical Society supports our mission of preserving Canton History. Your donation will also include you on our quarterly newsletter mailing list. Here's a sneak peak of our last newsletter edition. 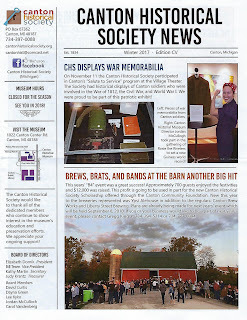 This edition included the history of the Archibald McKinstry family, secrets of our archives, and our new horse among other interesting reads. See the form below to become a new member or renew your membership today!